Affordability At Its Best In Delaware Mobile Homes Colonial East, Rehoboth Beach. Certainly the most affordable and family friendly pace to live is Colonial East Mobile Home Park. Established in 1972 two brothers and a partner invested in the development of state-of the-art communities in Rehoboth Beach, Delaware. A year later Colonial East took in its first residents and what makes this community different from the other mobile home parks is the close-knit family-owned operation. With paved streets, off-street parking and pet friendliness this community has no age restrictions. 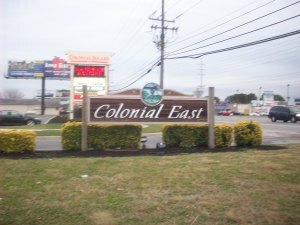 The number of sites in Colonial East are 300. Ideally located close to the beach it is a great opportunity to own or rent a home. Permanent residents as well as seasonal families choose homes here for their vacation times. It remains family-friendly, playgrounds for children, community building and guarded swimming pool. Living in this mobile home park, Colonial East is located just off Coastal Highway. Residents live only 3.5 miles away from the Rehoboth Beach Boardwalk. Residents are within walking distance from restaurants, movies, outlet shopping, beautiful beaches and more. It is surrounded by popular cities in towns, some of which are within walking distance. To its West is Midway Park Subdivision, Midway Park, and Sandy Brae all of which are under a mile away. To the East are Aspen Meadows, True Vale Acres, Fieldwood Addition, Shady Ridge, Piney Glade and more also under a mile away. To the South are Truitts Midway Development, Maplewood, Midway, Mastens Heights Mobile Home Park, Breezewood and more also within a mile. Two small airports in close proximity is Eagle Crest Hudson in Milton, which is five, 75 miles away and West Private in Roxana, which is 14, 95 miles away. Two large airports close to Colonial East are Salisbury, which is 33, 35 miles away and Atlantic City International Airport, which is 57.5 miles away. Where else in the world except in Colonial East Mobile Home Park are you subjected to carefree living, with an atmosphere of always being on vacation and paying next to nothing for a home? A typical two bedroom, 1 bathroom home, with a shed and screened porch for under $10, 000. This includes snow removal, grass cutting, and use of community pool and Clubhouse. Houses range from one bedroom, one bathroom, to two and three bedrooms homes with ether one or two bathroom. Spacious living areas, several fully furnished with all the latest, modern appliances in modern kitchens. Some homes even have their own private in ground pool apart from the community pool and you can still expect to pay under $40, 000.